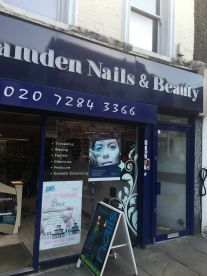 Welcome to Camden Nails & Beauty - our hair & beauty salon opened a few years ago and since then, has satisfied many customers. \nOur young and chic staff provide different styles for different customers, so whether it’s a complete makeover you’re after, or you simply want to have your split ends trimmed, you can sit back and relax while we tend to your tresses. Our hairdressers are super-attentive and down to earth who listen to exactly what you want. You’re welcome to bring along photos for visual reference, otherwise, just chill and watch the magic happen!\n\nWhether you’re not entirely sure what you want, or you have a very particular vision in mind, our efficient and approved staff will mold their services to suit your needs, supplying general advice and guidance from start to finish. 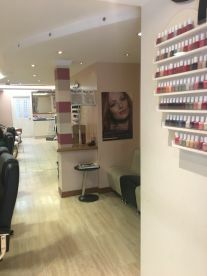 We value communication between the professional and the client, so rest assured our attentive, professional hair and beauty therapists offer only the very best to suit your needs.\n\nWe want nothing more than for our customers to feel detached and unwind from their busy daily lives, and in order to do that we have created a vibrant and relaxing space. From summer pedicures to winter facials, we'll give you a natural, chic look that you can enjoy all throughout the changing seasons. They do a beautiful job of nails and toes - always looks flawless. Jenny is a great beautician, very friendly and she does a perfect brow shape & tint! Please note that Camden Nails & Beauty may not be able to honour booking requests made.